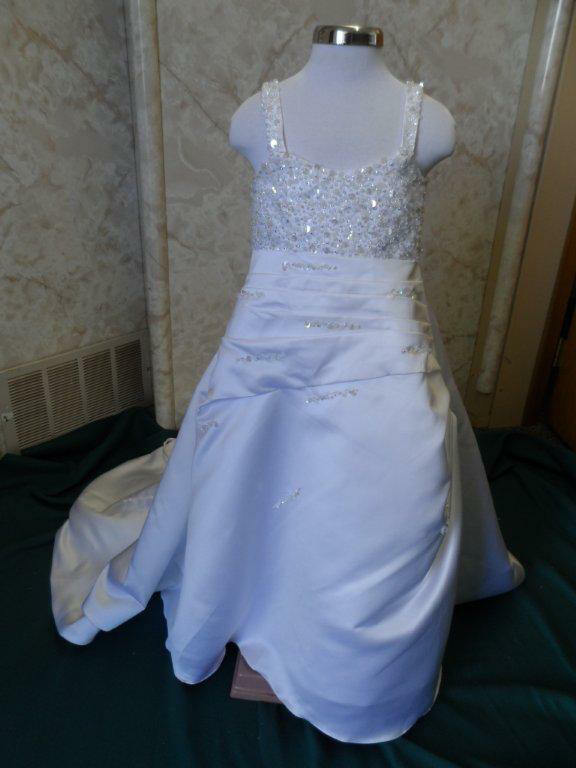 Satin miniature bridal gown with Beading and Sequins. 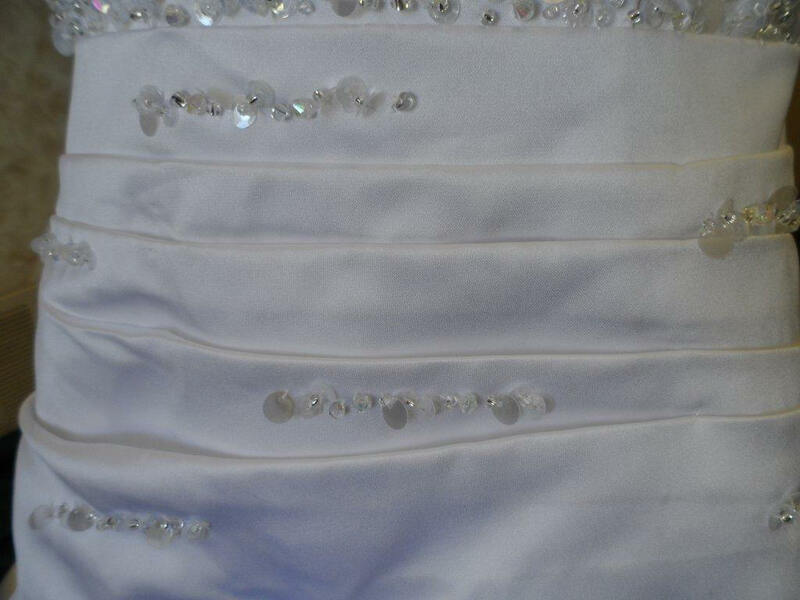 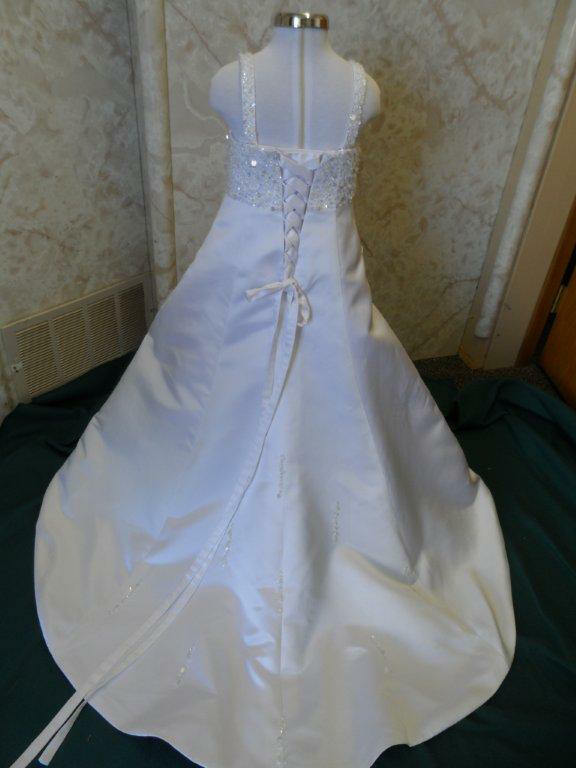 Satin miniature bridal gown with Beading & Sequins. 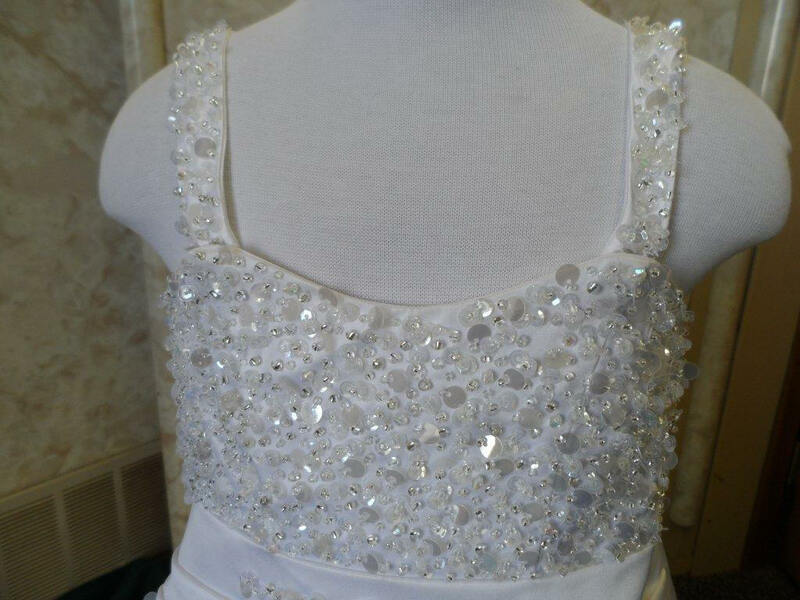 This beautiful dress has beading on the bodice that trails down the skirt. 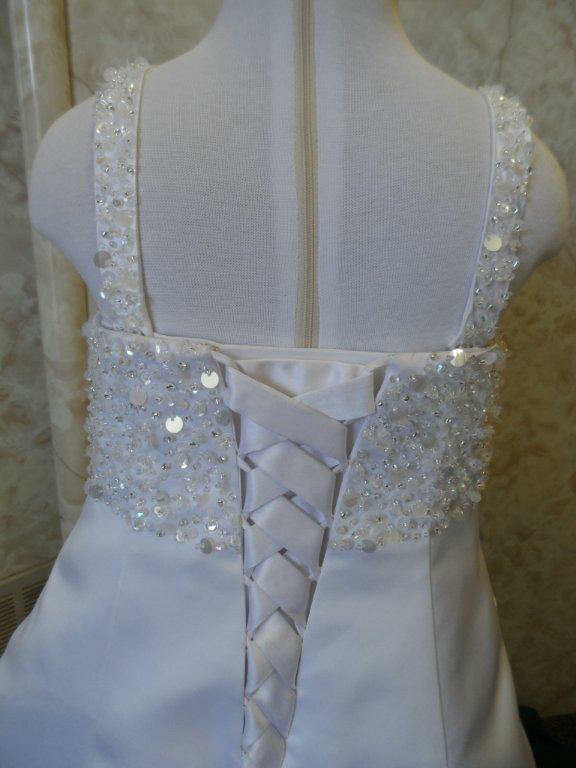 It has a corset back for a comfortable fitting. 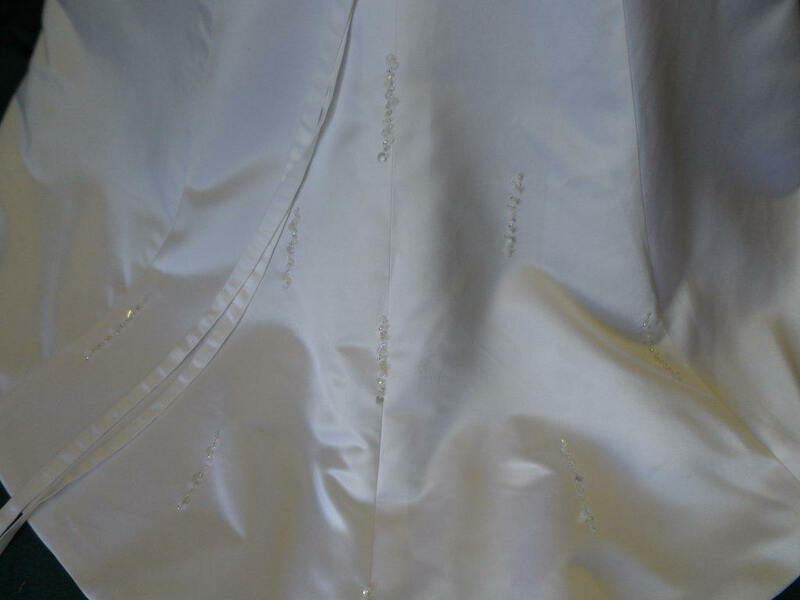 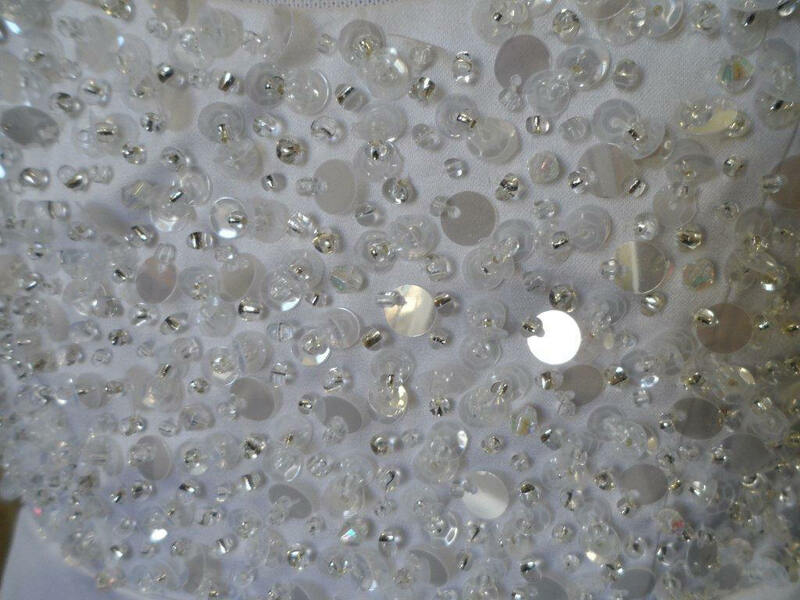 splashes of beading sprinkled on the skirt.